"Martha Rivers Ingram Excellence in the Arts Award 2017"
Gearing up for my "Rockland Reverso" show of my water reflections at RoCA with an opening reception this Sunday, Sept. 10, 1:00-4:00pm. So honored to be given one of the galleries there. A great turnout for the opening of this exhibit at Van Der Plas Gallery on the Lower East Side. http://vanderplasgallery.com/. Met a bunch of new folks. Adrian and his team worked hard throughout. It was so interesting to observe people looking at my photo of the tree mural reflection on a blue car. None of them realized it was a photograph until I told them. A reaction I frequently get about my work. 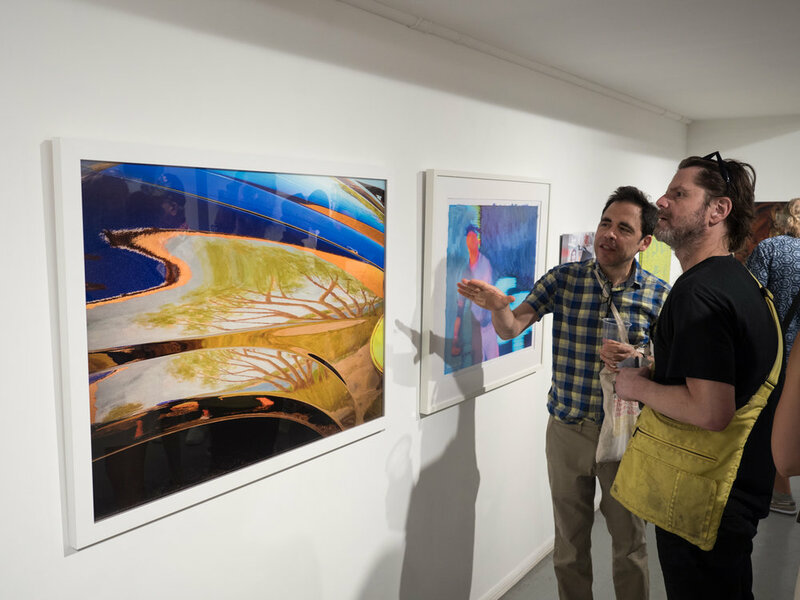 I enjoyed getting to know my fellow photographers, curator Nina Skowronski and gallerist Phyllis Dodge during our preparations for this show celebrating a selection of local artists. Spencer Tunick,http://www.spencertunick.com/ photographer of crowds of nudes, did a fascinating presentation of his work before the opening. What a director! A selection of what I showed -- more iPhone photos. Having so much fun creating them for Instagram and Facebook! 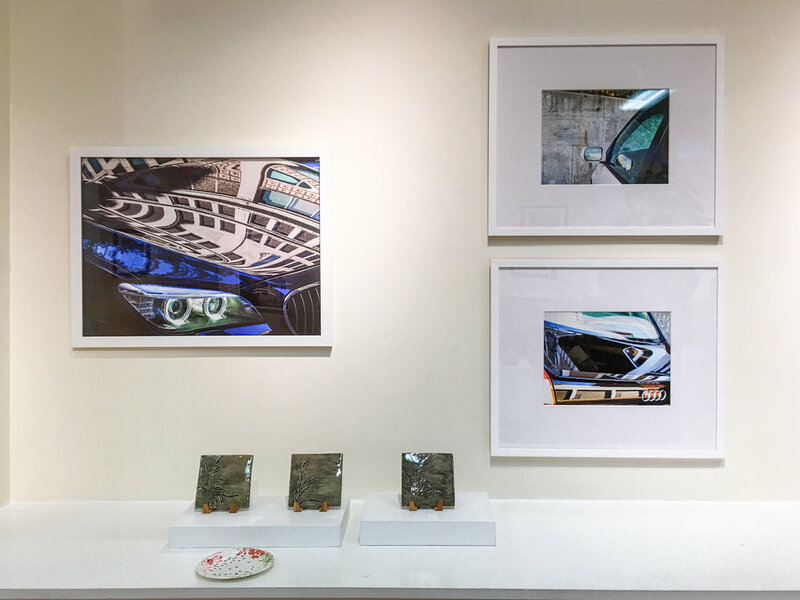 Quite thrilled to be awarded "Best in Show" for my pair of "Car Parts" dents at the Ridgefield Guild of Artists (rgoa.org) Camera Works 2017 show. Juror Rebecca Robertson, Photo Editor of Photo District News, was so gracious. Really nice crowd and artists. 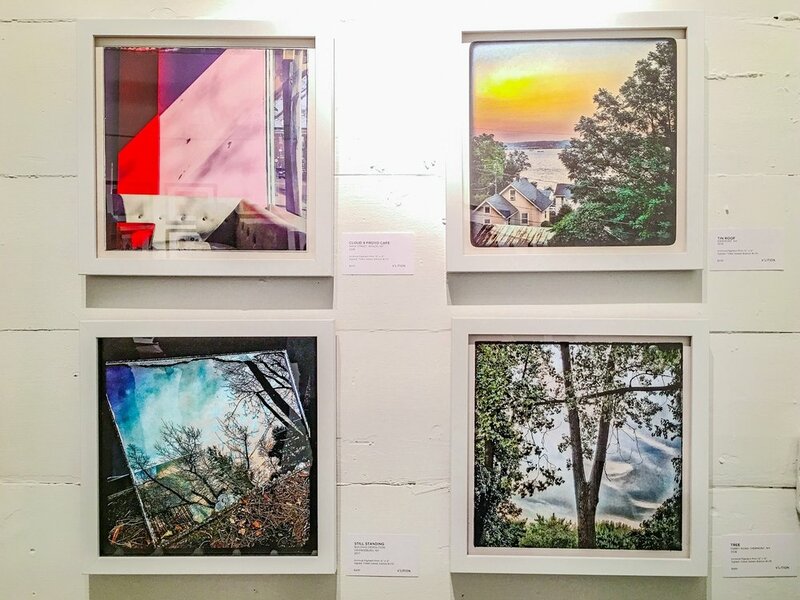 Something different with two of my iPhone photos from California at this year's "Upstream Photography Takes Over" show (http://www.upstreamgallery.com/). Such a beautiful space. Curator Gde did a beautiful job of hanging the show. I shared the walls with Dorice Madronero. It was so great to see 17 of my "Car Parts" all in one space! My first "Car Parts" find (Chelsea, NYC) that set me on my journey. With my work at VCS "Gay Pride Rockland" show at RoCA. "Reflector" photo sold.